As fleet manager in a consulting business you may increasingly get requests for transitioning to electric mobility: Your employees want to drive electric, as it is the new fashion, your shareholders suggest the transition to EVs to reduce CO2 emissions and your clients require you to become a sustainable supplier – driving electric vehicles could be an appealing next step. As financial decision maker in the same company, the EV transition is less obvious. Electric vehicles are still expensive and when you include investments for on-site charging facilities, the total cost of ownership doesn’t necessarily make the EV the better choice. But the electric vehicle has a second benefit, next to being a mobility solution, that changes the balance. EVs can rapidly take in lots of renewable electricity when it is abundant: during windy and sunny moments of the day. And EVs have enough battery capacity to refrain from charging when renewable electricity is scarce, or even deliver electricity back to the grid when there is a lot of demand. The electric vehicle can work as a temporary storage for electricity during peak moments. This helps to raise the share of solar and wind energy, as it avoids situations where fossil power plants need to run faster to meet an increasing demand or situations where wind turbines are switched off because of a lack of demand. A business fleet of EVs is a perfect setup for storage, as the total volume of battery capacity is large and the use of cars is predictable: for most employees, the expected number of kilometers and time of car use per day is known in advance. Smart software can plan the availability of the total battery storage at fleet level over the day without sacrificing driving range. It is this fleet level storage that has a financial value. Energy companies offer electricity against a very discounted rate when they have the flexibility to charge your fleet of cars at off-peak moments during the day. It is called smart charging and it reduces the total cost of ownership for electric vehicles since you pay less for their energy consumption. Smart charging helps as well to further reduce CO2 emissions, since it contributes to an increasing share of energy produced from renewable sources. 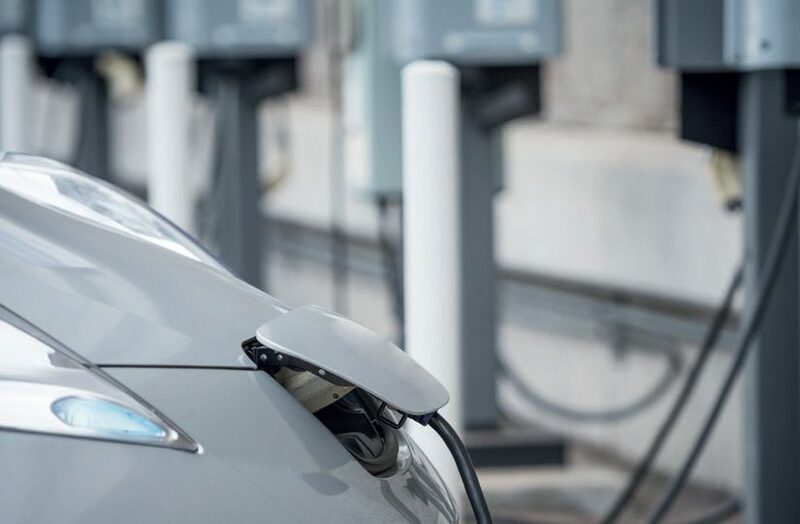 While smart charging is already operational, the automotive industry is busy completing the technology and logistics for delivering electricity back to the grid. This vehicle-to-grid solution allows for charging at lows and selling at peaks, thus creating a revenue stream for EV fleet owners. Vehicle-to-grid also works great with locally installed solar panels: charge a fleet of EVs at the office and consume its surplus of electricity at night when the cars are plugged-in at home. Smart charging and vehicle-to-grid extend the business case for electric vehicles, rendering them an asset when in motion and as well as when they are idling: a reassuring fact when deciding on transitioning to electric mobility.